Based on the internationally acclaimed novel by Arthur Golden, "Memoirs of a Geisha" is a sweeping romantic epic set in a mysterious and exotic world that still casts a potent spell today. The story begins in the years before WWII when a penniless Japanese child is torn from her family to work as a maid in a geisha house. 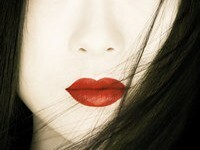 Despite a treacherous rival who nearly breaks her spirit, the girl blossoms into the legendary geisha Sayuri (Ziyi Zhang). Beautiful and accomplished, Sayuri captivates the most powerful men of her day, but is haunted by her secret love for the one man who is out of her reach (Ken Watanabe).